Everyone knows the music, nobody knew the man. The unforgettable life and music of pioneering legend Chuck Berry are celebrated in this landmark feature film capturing the once in the lifetime gathering of rock and roll’s finest! 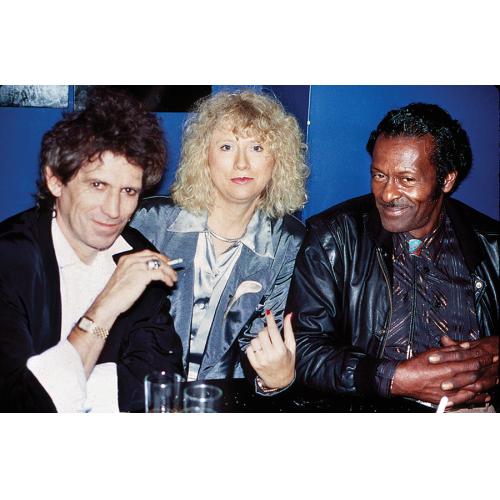 In l986, Keith Richards invited a roster of great musicians to commemorate Berry’s 60th Birthday. Including performances by Eric Clapton, Robert Cray, Linda Ronstadt, Etta James and Julian Lennon (plus archival footage duet of Chuck and John Lennon), this dynamic crowd-pleaser from Producer Stephanie Bennett and director Taylor Hackford will keep your toes tapping and soul rocking all night long. Enjoy the film in its entirety followed by an insightful Q&A with director Taylor Hackford and author Stephanie Bennett. Johnny B. Bad: Chuck Berry and the Making of Hail! Hail! Rock ‘N’ Roll will be available for purchase.